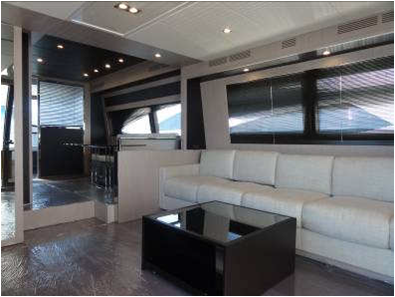 Innovative changes have been made to the space and furnishings of the new 75′ Venere Super. 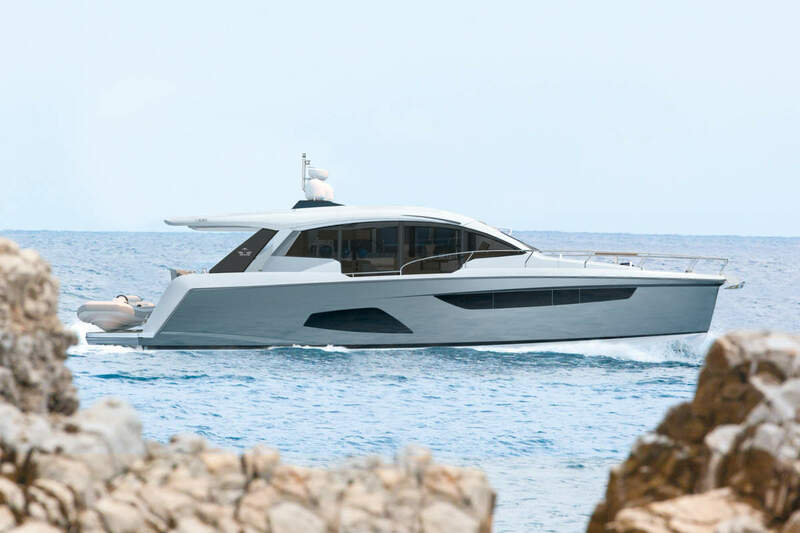 The latest edition of one of the shipyard’s most popular models, was developed by Officina Italiana Design, the exclusive designer of all the yachts in the Riva range, in association with AYT – Advanced Yacht Technology – Ferretti Group‘s naval research and design centre, and the team of architects and designers of Centro Stile Ferrettigroup. Interiors and exteriors have been renewed, with the perfection and painstaking care over detail which are typical to Riva, in order to offer greater comfort during cruising and optimize space. 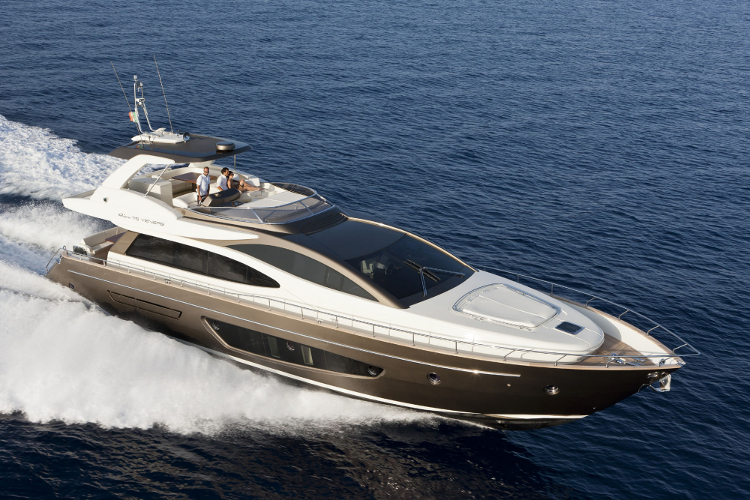 The colour of the hull is Roman Bronze and the superstructure Riva Cream. 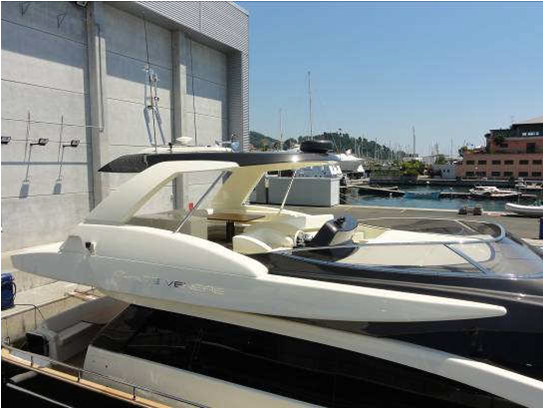 The flybridge of the new 75′ Venere Super has been enriched with a hard top featuring an elegant, aerodynamic line and a comfortable, six seater sofa ensuring the Owner’s total ease of use. 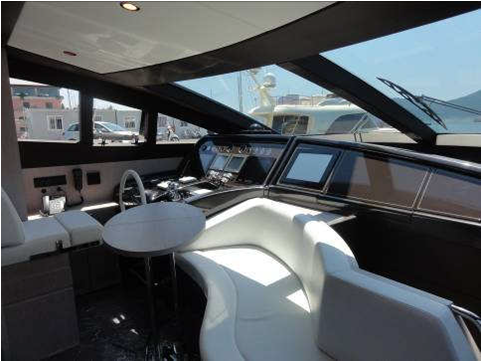 The stern opens out onto a spacious swim platform, the best solution for free time and practicing water sports. A large window fitted in the hull provides an unusual, very pleasant view of the surface of the water, ensuring more natural light for the guest cabins, especially for the full-beam Master cabin. The latter features a study area, vanity unit with foldaway pouf, LCD television and walk-in closet. 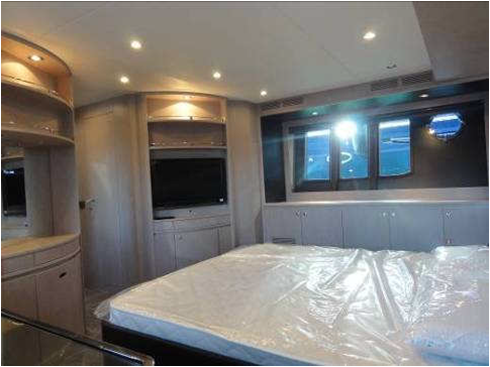 Each cabin has direct access to an en-suite head, and the guest cabins have twin beds that can be pushed together to make one if necessary. The interior furnishings have also been altered and improved in the Super version, focusing on a simple, refined style. 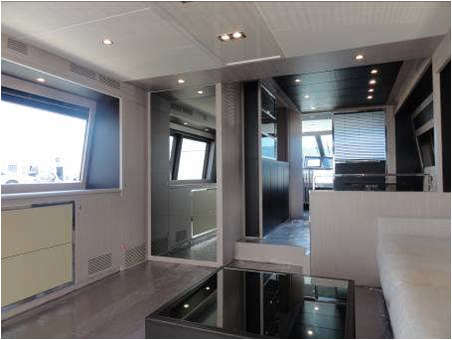 The use of bleached oak with Africa and sand coloured leather, white lacquer and new colouring of the galley and helm station make the various areas even more elegant and refined. Removing the stairway from the salon to the flybridge has made it possible to extend the flybridge sundeck and, below deck, to create a more functional galley with new units and a side-by-side fridge-freezer. Said removal has also made it possible to insert a mirror wall overlooking the salon, which gives this area more depth. The partition wall between the helm station and dinette, now equipped with new motorised leather Venetian blinds, plays on light and depth thanks to the use of steel details and a mirror fitted on the door. Moreover, the new colouring of the leather in the dinette, now also on the ceiling, gives the area a completely different impact to that of the previous version. Another innovation is a new hatchway that allows the easy transfer of plates and food between the galley and the more formal dining area. As for the serving hatch, when open onto the galley it is set facing the day opening, creating a display case effect. 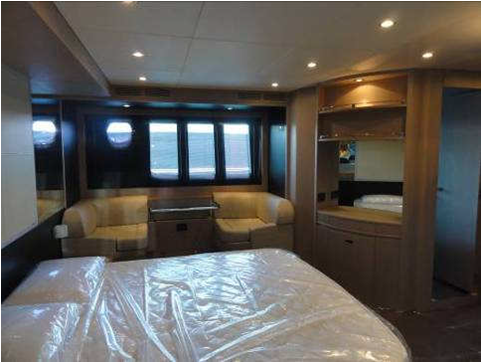 When closed, it separates the dinette area from the galley, guaranteeing Owners and guests complete privacy. The standard version of the yacht features twin MTU 10V 2000 M93, power 1524 mhp, which drive her to a top speed of 31,5 knots and a cruise speed of 28 knots. The optional version features twin MTU 10V 2000 M94 power 1623 mhp, delivering a top speed of 32,5 knots and a cruise speed of 29 knots. The new enhancements to the 75 will ensure the model’s competitive challenge in what is already a very competitive market segment.